A series of images of brave soldiers who fought in the First and Second World Wars. Owen worked as a Postman and had to carry mail to the front lines during the 1st World War. It was during the battle at Cumbrai, France, that he was sadly killed. None of his personal possessions were recovered. 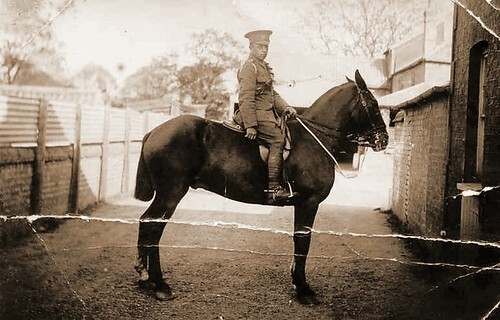 He served with the 5th Suffolk Regiment and the 1st Battalion Post Office Rifles. Ernest Edward Thomas Dewey (1896-1991), originally uploaded by familytreeuk.